Santa Fe College in Gainesville has created a unique relationship with the UF College of Pharmacy, called the Pathway to Pharmacy. The UF College of Pharmacy’s academic adviser will be at the Santa Fe Gator Den monthly to personally advise students on the admissions requirements to the UF Doctor of Pharmacy program, how to become a successful candidate, and the application process. 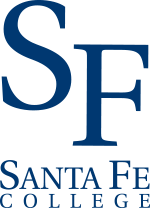 Our UF adviser collaborates with the Santa Fe academic advisers to insure Santa Fe students satisfy all pharmacy prerequisites in order to successfully apply for admission to the four-year Doctor of Pharmacy program. Students are eligible to apply to the UF College of Pharmacy after completing their Associate of Arts (AA) degree at Santa Fe College, are in the process of completing the required pre-professional courses, and have taken the Pharmacy College Admission Test (PCAT) test.